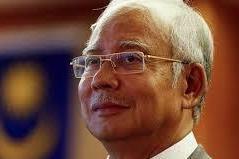 Kuala Lumpur, Feb 11 (AFP) Malaysia’s former prime minister Najib Razak was making a last-ditch bid Monday to delay the start of his trial over the 1MDB scandal, which contributed to his government’s shock election defeat. Billions of dollars were allegedly stolen by Najib and his cronies from the fund, which was set up to help develop Malaysia’s economy, and spent on everything from high-end real estate to expensive artworks. The scandal was a major factor in his long-ruling coalition’s loss at polls in May. Since losing power, Najib has been arrested repeatedly and hit with a total of 42 charges linked to 1MDB. He has denied wrongdoing.